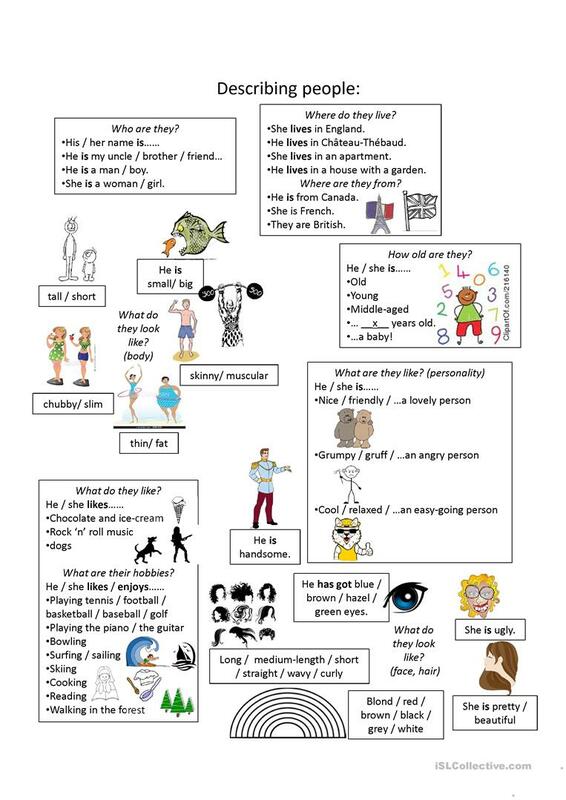 A resource sheet I used to make posters "This is my family". It allowed pupils to prepare their little texts by themselves while I went around to help/correct. The present downloadable printable is recommended for high school students, elementary school students and adults at Elementary (A1) and Pre-intermediate (A2) level. It is useful for working on your learners' Speaking and Writing skills. It centers around the theme of Describing people. Demangeprof is from/lives in France and has been a member of iSLCollective since 2012-09-05 22:10:54. Demangeprof last logged in on 2017-02-19 23:41:33, and has shared 6 resources on iSLCollective so far.